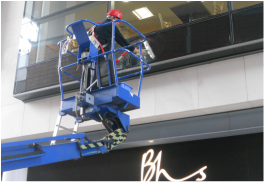 Established for over 25 years, we specialise in ALL types of industrial cleaning. 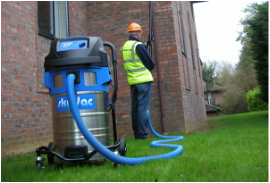 Coundon Cleaning are pleased to announce the use of the Zero System from Ionic Systems - the Ultimate in Pure water Window Cleaning Systems. This system dissolves dirt, & unlike other systems that remove only dissolved solids from the water supply, uniquely The Zero system removes BOTH dissolved solids and ALL organics as well as bacteria from the water supply. We look forward to passing on the benefit of this fantastic system to our customers. The result is not only water that is 1,000 times purer but also ultra pure water that is free from micro-organisms such as legionella bacteria and the organic matter that bacteria feeds upon, giving YOU the ultimate clean! Since 1989 this leading commercial cleaning contractor team have built a successful business in the Midlands through hard work, determination and unswerving dedication to customer service, covering ALL your company’s cleaning needs. The quality of cleaning you are guaranteed is second to none and is always carried out by a friendly and dedicated team. Done at a time to suit you so as not to disrupt your business, all work carried out is by fully trained staff. gutter cleaning machine, no need for expensive scaffolding or ladders.